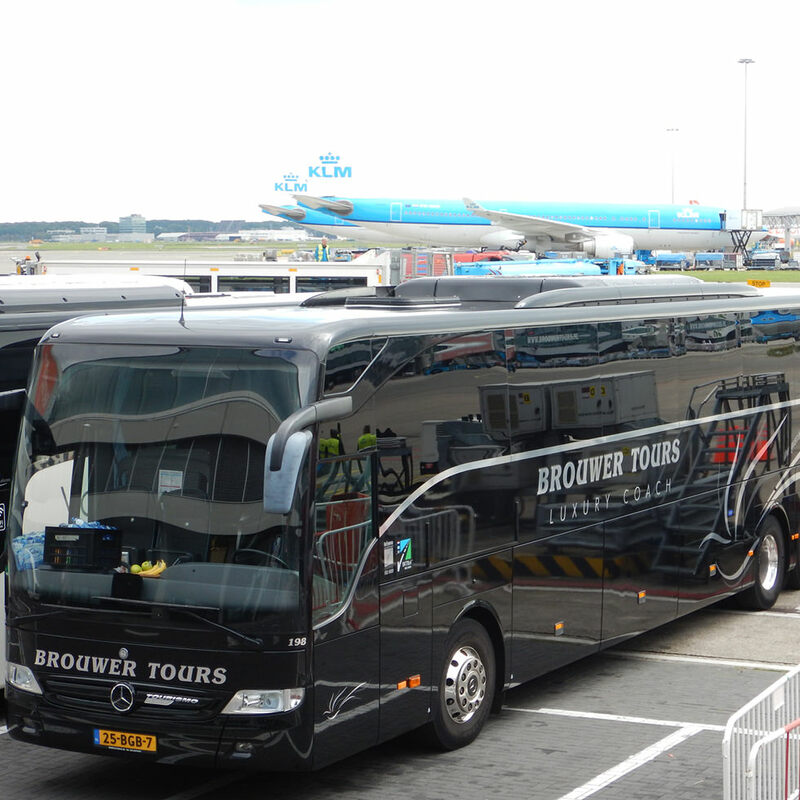 Brouwer Tours is specialised in providing safe and comfortable group transport, ranging from eight passengers in a minibus to 90 passengers in the biggest double-decker. Via luxury coach (standard facilities) to super deluxe VIP bus or VIP coach. Brouwer has a varied and modern fleet. It consists of more than 130 vehicles, specifically for group transport: bus, coach, VIP coach, double-decker, minibus, midibus, VIP minibus or special event buses. What’s more, stickers can be applied to the buses for promotional purposes. Think, for example, of the recognisable ‘Soldaat van Oranje’ coach promoting the musical of the same name and Noordwijk’s ‘150 jaar badplaats’ bus celebrating Noordwijk’s 150 year anniversary as a seaside resort. 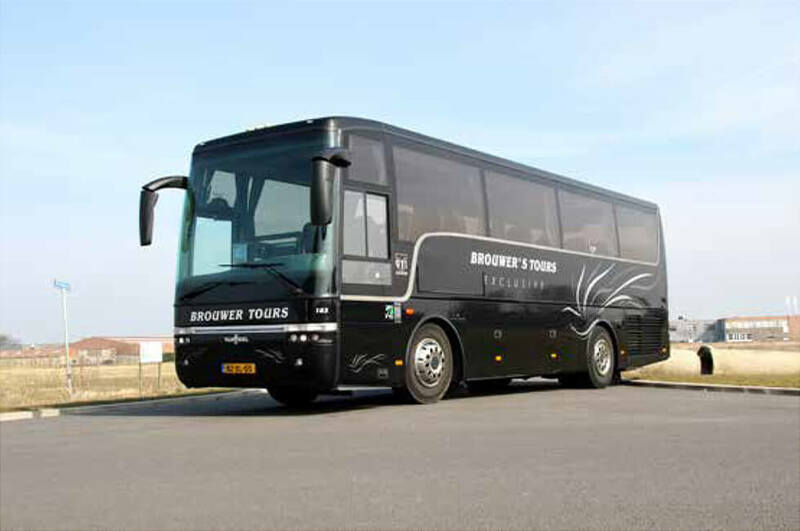 Since 2000, Brouwer Tours meets the strict quality standards of the Dutch quality mark for coach operators awarded by Stichting Keurmerk TouringcarBedrijven (SKTB). This quality mark gives bus passengers extra guarantees in terms of safety, comfort, the professional competence of and service provided by drivers, the rigorous compliance with driving and rest regulations, and adherence to social regulations in the sector. The quality standards are constantly tested and checked by independent bodies and auditing organisations. This is why the quality mark is displayed in Brouwer coaches with pride. Want to know more about Brouwer Tours or would you like a custom quote? Check out the available options on the site or call +31 (0)71 – 36 500 90.